You know those annoying women that tell you to build a capsule wardrobe and just wear the same thing a thousand different ways throughout the season and your life will be sorted? Don't worry - I'm not aiming to be that person. I don't believe in capsule wardrobes. However, I do believe in certain pieces that do belong in every woman's wardrobe, and over the next ten weeks, I'll be looking into those pieces and styling them up so that you can see that they are worth every penny you pay for them. I'll also be styling them with high street only merchandise, which means that nearly everything you see will be well under a hundred smackers. We're kicking off the first week with a wardrobe staple that truly is the most versatile item you can have in your closet. Jenna Lyons showed us we can even wear this piece for black tie, if styled correctly. The right denim shirt should and will change your life, but it doesn't need to cost you a fortune. Bodies change every year, so instead of telling you to invest, I've found one I think will last you at least a year if you were to wear it at least once a week. And if you treat it well, as with all moderately priced pieces in your wardrobe, it will see you through thick and thin (literally... and I should know as I swear I gain and lose the same twenty pounds every year). 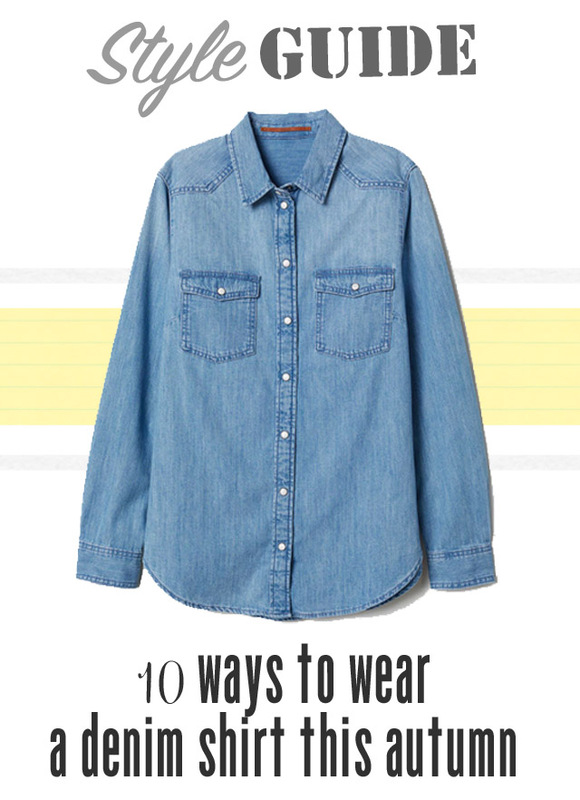 Without further ago, here are ten ways to style a denim shirt for autumn winter! Please note this post does include affiliate links.